Whose natural language generation products automate reasoning, dialog, and writing in multiple languages. Yseop offers Yseop Compose, the only self-service enterprise-level language generation technology on the market. The company also builds bespoke solutions helping businesses leverage data, automate business processes, and aid in their digital transformation. Coveo wants to help you transform your business by ensuring that every employee, support agent, customer, partner and website visitor has access to the information they need when they need it. Coveo drives effortless experiences by providing contextual information which empowers everyone who engages with your brand to autonomously make better decisions. Powered by artificial intelligence, unified search, rich analytics, and machine learning, Coveo AI™ delivers predictive insights from across all your cloud and on-premise systems that allow your business to continually improve and scale. Keatext has developed a cloud-based platform that interprets customers’ written feedback to enable organizations to audit customer satisfaction, identify new trends, and keep track of the impact of actions affecting the customer experience. The fastest time-to-insights: Keatext understands your world is constantly changing, so they developed technology that uses artificial intelligence to adapt to your business and industry context. The system instantly discovers new topics and emerging trends without human intervention. 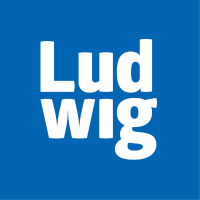 Ludwig is a brand agency that offers global creative and strategic brand services. «Our primary goal is to familiarise ourselves with every aspect of your business workings and corporate identity. We analyse your internal and external environments, then use our findings to develop branding solutions that fit your corporate values. VASCO and eSignLive are now OneSpan, see the transformation at www.onespan.com.